Cruelty Free Goth. 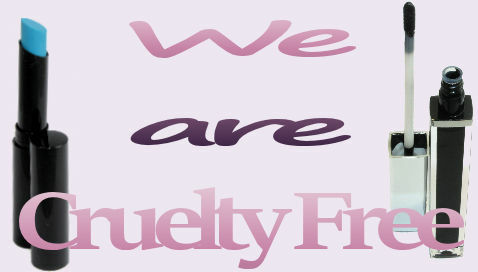 All our cosmetics are cruelty Free and made in America. We've been vegetarian owned and operated for over 23 years. Now that's Good Goth! Plus sizes you'll actually want to wear, in sizes that actually fit! Because every body deserves cool clothes. Goodgoth.com is your women's Gothic Clothing super store, providing affordable and alternative goth clothing, gothic footwear and unique accessories since 1996. 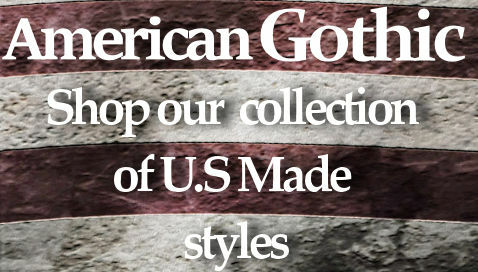 From cyber boots to steampunk clothing, rockabilly skirts, classic velvet dresses to emo clothes, scene and mod, be sure to check out our Newest Arrivals, updated daily with the newest good goth apparel, accessories, gothic shoes and boots, jewelry and cosmetics around! Goodgoth doesn't discriminate! We know that Fashion is fluid and not set in stone, fashion is always evolving just like you! We aren't pinned down to one subset of Gothic Fashion and we don't expect you to be either! We have been bringing you the hottest in Gothic, Punk and Alternative fashion you can actually afford for over 20 years. From Old school goth to nu-goth. Shop with confidence. We offer 30 Day easy returns. We're not rebels, dolls or killers. We're just Good Goths.